Prime Minister Narendra Modi today said trade and investment are the key for relations between India and Norway. Exploring new avenues for deepening bilateral relationship PM @narendramodi and PM Norway @erna_solberg held delegation level talks. Discussed bolstering relations in trade & investment, blue economy, oceans & marine resources, climate change, SDGs & renewable energy. EAM @SushmaSwaraj called on PM of Norway @erna_solberg today morning. Good exchange of views on expanding ties across all sectors. Immense opportunity to cooperate in blue economy, shipping, fisheries & aquaculture and renewable energy. In his press statement after delegation level talks between Prime Minister Narendra Modi and his Norwegian counterpart Ms Erna Solberg in New Delhi, Mr Modi said they reviewed the entire gamut of bilateral relations. Mr Modi said both countries should work together to improve trade relations. He said ocean economy should be encouraged between Norway and India. 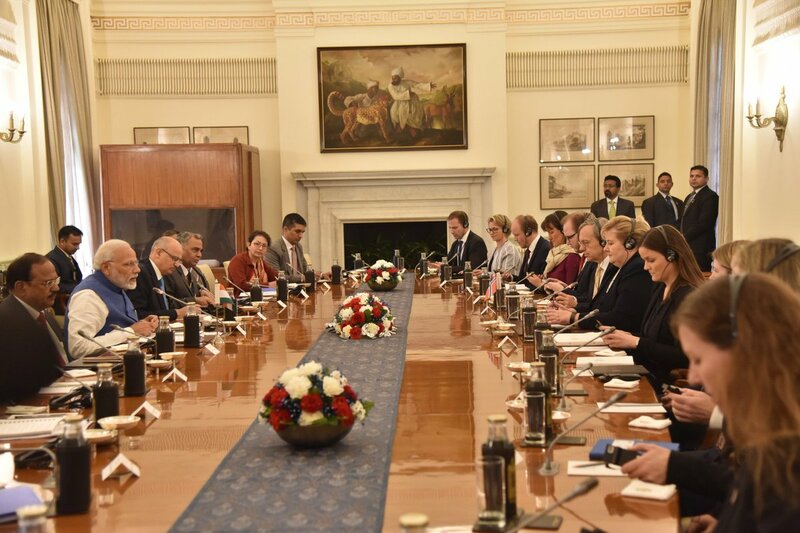 The Prime Minister added that India and Norway have been cooperating with each other on several issues including combating the menace of terrorism. India and Norway exchanged an agreement following the talks. Ms Solberg arrived in New Delhi yesterday on a three-day visit to India. She is accompanied by senior officials from her government and a large business delegation. Ms Solberg was accorded ceremonial reception at forecourts of Rashtrapati Bhavan this morning. She also paid homage to Father of the Nation Mahatma Gandhi at Rajghat. India and Norway enjoy close and multifaceted ties and economic and technical cooperation are important facets of the bilateral relation. External Affairs Minister Sushma Swaraj is scheduled to call on the visiting dignitary. Ms Solberg will call on President Ram Nath Kovind and Vice President M Venkaiah Naidu.